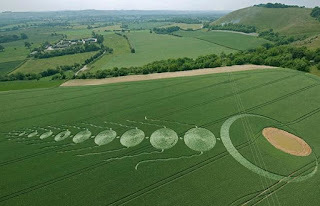 designtocaredaily: Are you aware of the phenomenon called Crop Circle? Are they Cosmic made or Man Made? 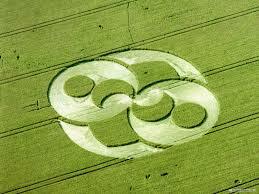 Are you aware of the phenomenon called Crop Circle? Are they Cosmic made or Man Made? There is a marvel in our world called Crop circle, they are a large geometric pattern of flattened crops, most often found in fields around the south of England and also in other parts of the world. Crop circles are said by some who have studied them to be messages from intelligent extraterrestrial life, but many have been proved to be the work of humans. 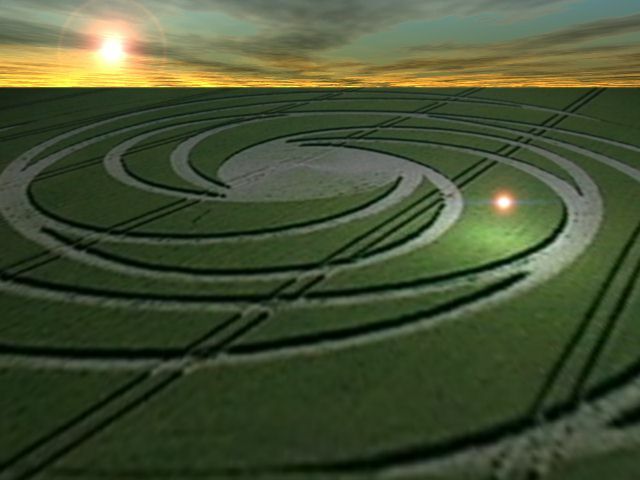 Beginning in the late 1970s, simple crop circles began to appear regularly in the fields of Wiltshire, Oxfordshire, Somerset, and Gloucestershire in southern England. They were made at night, and over the years they became more complex, growing into large patterns of geometric forms hundreds of feet across. 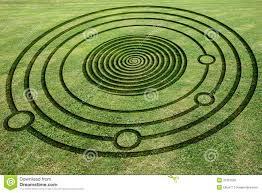 Some people who studied crop circles were convinced that their intricacy and the fact that the plants seemed to be bent but not broken precluded a human creator, which meant that they were being produced either by some unknown natural phenomenon or by extraterrestrials. In 1991 Doug Bower and Dave Chorley of Southampton, England, confessed to having made more than 200 crop circles since the late 1970s with nothing more complex than ropes and boards [although they are yet to produce a picture of them making a crop circle, they only demonstrated how to make a Crop Circle. Also, there had been mentioned of Crop Circle in Journals long before their confession]. They said they were initially inspired by a 1966 account of a UFO sighting near Tully, Queensland, Australia, in which a flying saucer supposedly landed in a lagoon and left behind a depressed area of reeds. Crop circles appear regularly throughout the world, but the majority still appear in England and even those who view crop circles as messages from extraterrestrials or as unexplained natural phenomena admit that a significant portion of them are now made by humans. 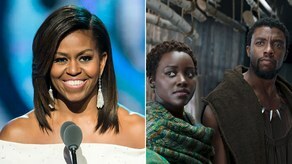 Nevertheless, they are beautiful, and a nice introduction to a different artistic perspective to humanity. 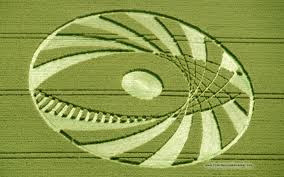 Are you aware of this wonder called Crop Circle? 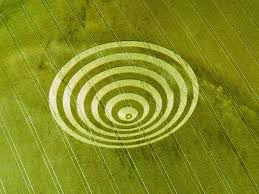 What is your opinion, will like to know your opinion on this crop circle discussion? Leave your comment.